Moclinejo is located on a ridge of Piedras Blancas hill in an area typical of the Axarquia region, with abundant olive and almond trees and vineyards. One place of particular interest is a spot known as the Valley of the Dead (Hoya de los Muertos), the scene of a heavy defeat suffered by the governor of Antequera’s troops during their attempt to conquer the area.No documentation is available regarding the possible existence of settlements in the area prior to the Andalusi-Arabic period. 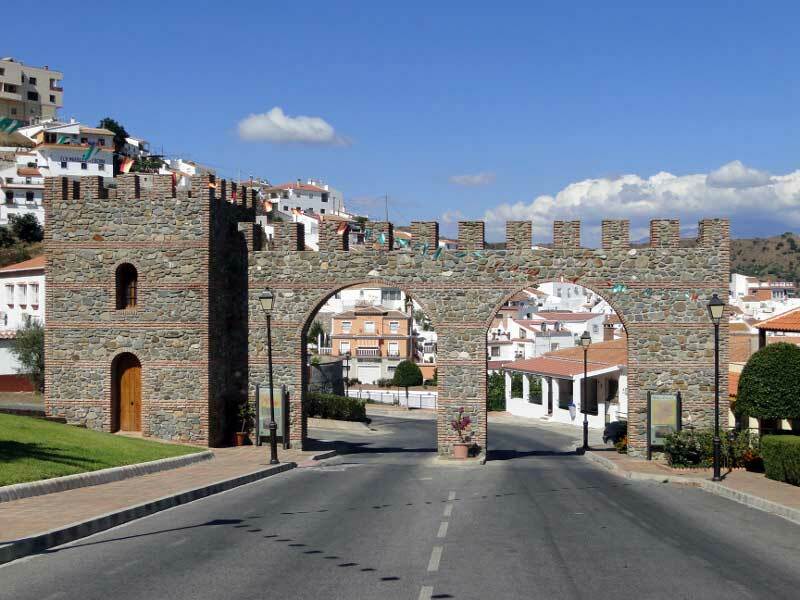 During the Moslem occupation, Almachar, El Borge, Cutar and Moclinejo formed a group known as “The Four Villages”, which enjoyed the protection of Comares Castle. The area between the municipal area of Moclinejo and those of El Borge and Totalan was the scene of one of the most important events of the 15th century in the long struggle between the Christians and the Moslems which preceded the disappearance of the Nazari kingdom of Granada: in 1483, on the orders of the governor of Andalusia Don Pedro Enriquez, a plan was drawn up in Antequera to capture Malaga via the Axarquia region, in response to the systematic sackings carried out by Muley Hacen, father of Boabdil, who was based in the aforementioned city. Seeing the arrival of the Castilian troops who, led by the Marquis of Cadiz, were laying waste to the countryside, the inhabitants of Moclinejo left their fortress and attacked them from higher ground, inflicting heavy casualties on the Christian army. This part of Moclinejo is still known as “Hoya de los Muertos” (“Valley of the Dead “), while another nearby spot is called “Cuesta de la Matanza” (“Slaughter Hill”). One of the most serious setbacks suffered by the inhabitants of this village in more recent times was the 1875 phylloxera-induced plague which started on La Indiana Farm in the municipal area of Moclinejo. In next to no time, the economy of the whole region, based primarily on vine cultivation, was ruined.